Civil. Transportation. Mechanical. Electrical. Soils. Materials. Environment. Look to Crandall for complete engineering solutions for municipal, water/wastewater, transportation, land development, building mechanical and electrical, geotechnical and environmental services. For over 65 years, Crandall has taken pride in its ability to consistently complete jobs to project specifications on time and on budget. We regard each project as a partnership with our client. On municipal projects, the engineering services provided by Crandall include water supply, storage and distribution systems, wastewater collection and treatment, storm water management, residential subdivisions and street construction. Services range from feasibility and cost studies to detailed design, construction supervision and system commissioning. Engineering services provided by Crandall on transportation projects include traffic studies, intersections and signalization, roadway design, bike lanes and active transportation, highway design and interchanges, roundabouts, culverts and drainage. We provide feasibility and cost studies, detailed design, construction supervision as well as system commissioning. Our firm specializes in the design of heating, ventilation and air conditioning, plumbing, fire protection and related mechanical systems, as well as the design and contract administration of all electrical systems. These are an integral part of Crandall's professional services offered for commercial, institutional and industrial buildings, healthcare facilities, hotels and municipal buildings. We are proud of our track record for innovative and cost effective problem solving and teamwork. Englobe’s service offering is divided into four major segments; Soil and Materials; Environment; Soil Treatment, Management and Recycling; and Expertise. 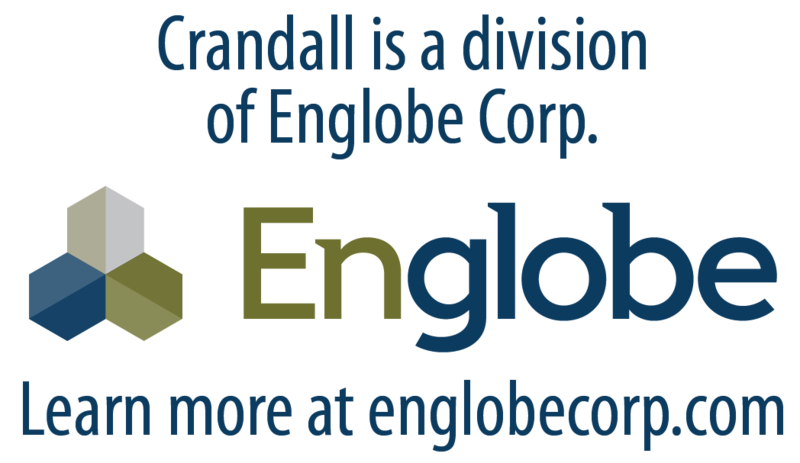 Englobe performs explorations, investigations, inspections, analysis, assessments and monitoring. In addition, we offer soil treatment and expertise as general contractors on contaminated soil remediation projects (brownfields, petroleum storage depots, etc. ).